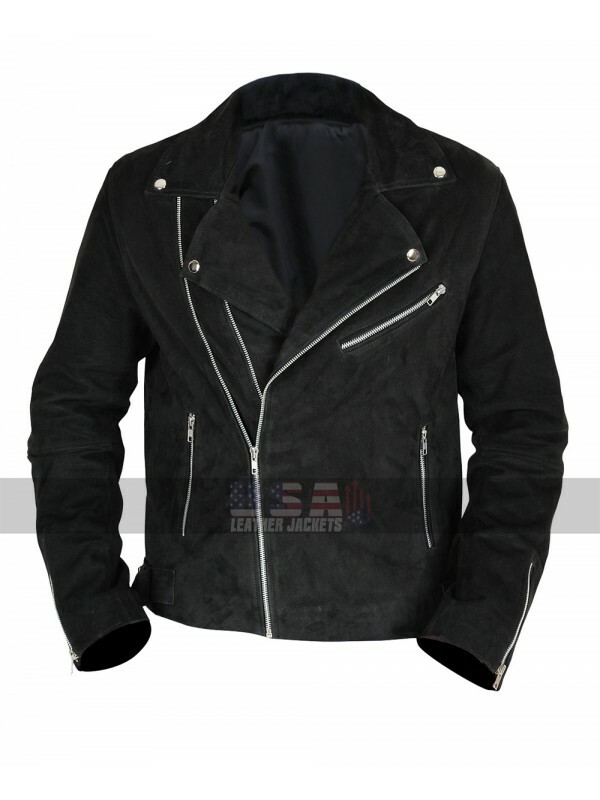 A celebrity Leather Jacket is always something that tends to capture the demand of a person like in no time; this Vintage Jacket has been made using the best quality leather being a choice between faux leather and suede leather. 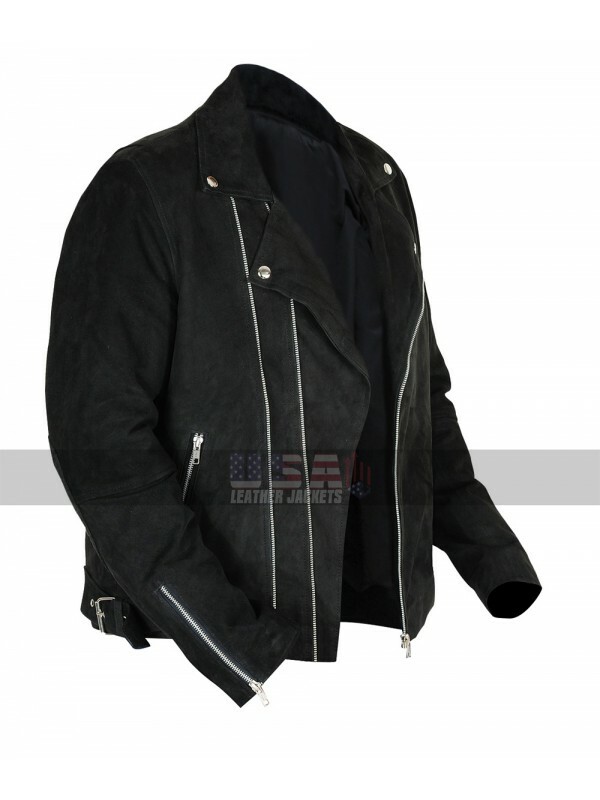 The texture of Mens Brando Biker Unique Style Black Suede Leather Jacket all over the front and back is pretty amazing and simple and takes away the sight of a person in no time. 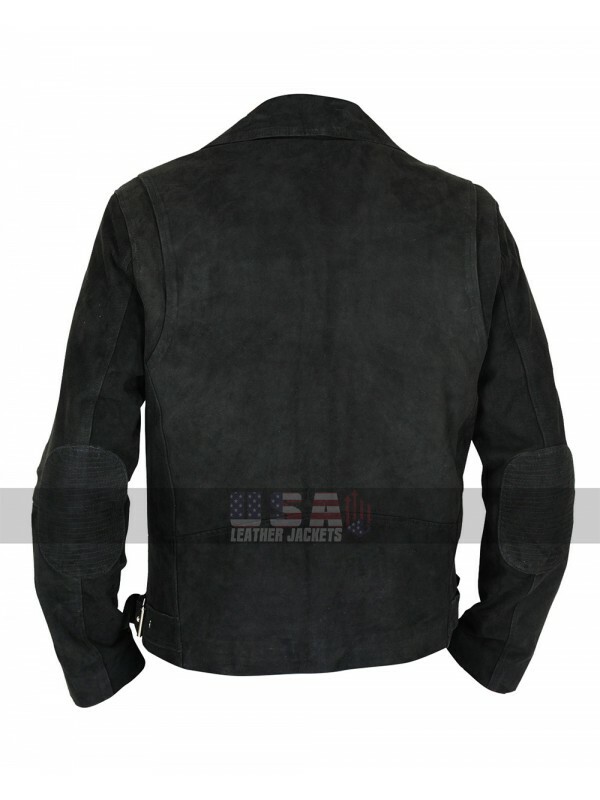 This Suede Leather Jacket has been finished in the most stylish manner and the base is all black in color. 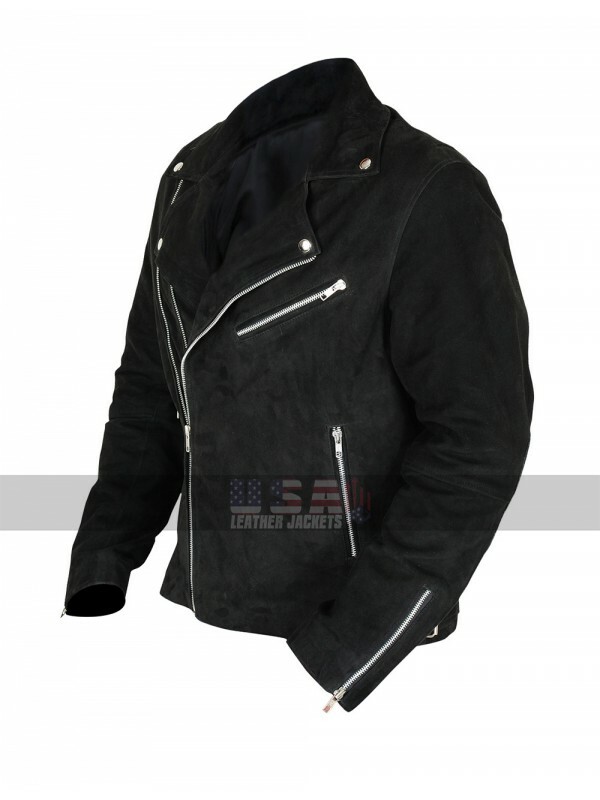 The front has been provided with the zipper closure and has collars featured with the studs at the edges. 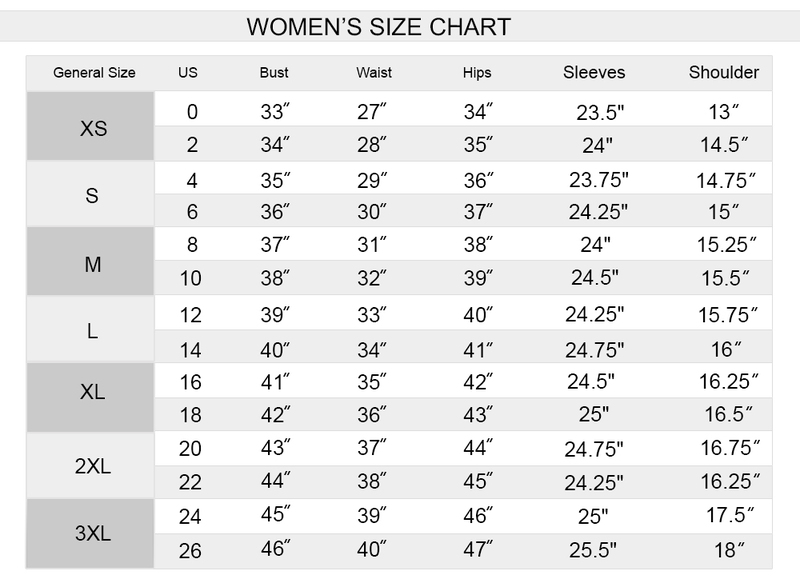 The sleeves are in full length giving full coverage and the inner of the jacket has been finished with the viscose material. 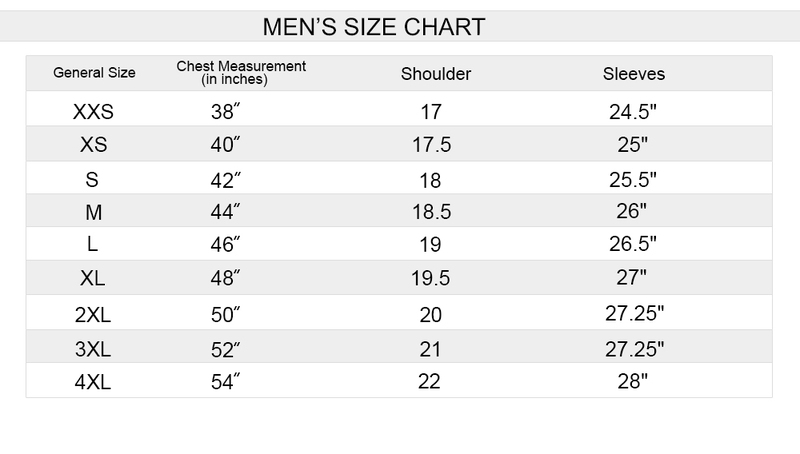 The front has pockets with the zipper closure too of which two are on the sides and one lies on the chest of the jacket. 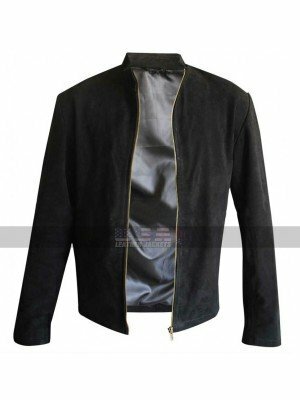 The sleeves of the jacket are also provided with the edges of the zipped layout which actually enhances the beauty of the jacket. 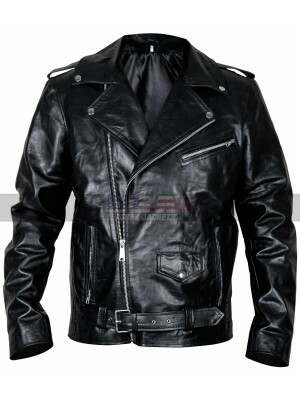 This Biker Black Leather Jacket is a suitable option which may easily be carried on all kinds of casual as well as formal occasions without a doubt. 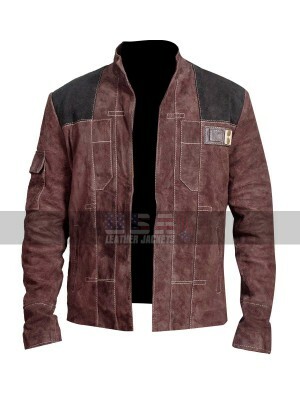 Han Solo Star Wars Suede Leather Jacket Star Wars Story i..
Vintage Classic Brando Biker Leather Jacket A stylish Bik.. 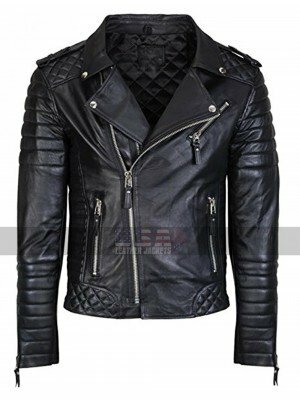 Slim Fit Brando Style Black Biker Jacket This is the ulti..